Hello! I'm Asheesh Rahal a writer & editor with the biggest passion for travel writing, writing, photography, and videography. I have two years of experience in blog writing, article writing, content development, content marketing, photography and video editing, multi-linguistic translation, proofread, social media, SEO, SMO, travel agents and booking sites, e-commerce store, and data entry. I am currently working on two full-time projects (Freelancer and Tripplore), however, I'm always open to discussing any opportunities. If you're looking for a person who can provide high-quality content and is flexible and quick to learn, I can be just the right person! One of the characteristics about content authors is that the information given here is already thoroughly researched, so do not worry, the information here is sound and safe. Thank you for your time and thoughts in watching my profile and I look forward to hearing from you. At present, I am a writer an editor services on a contract basis, with a strong focus on travel writing, travel planner, travel exploration, article writer, blog writer, proofread, editing, translation, web content design & development, video editor, and data entry. One of the characteristics about content authors is that the information given here is already thoroughly researched, so do not worry, the information here is sound and safe. Thank You. I look forward to hearing from you. Article & Blog Writing food-photography, design-thinking, seo, blog-writing, article-writing, video-publishing, video-editing, video-upload, video graphy. My client wanted a landing page to support an SEM campaign and improve conversion, SEO, Google Adword. 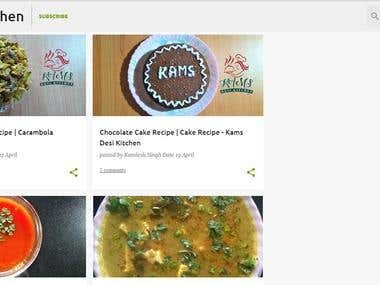 I have done a content writing in this project by creating a blog in this work as well as built it a channel on YouTube (Kams Desi Kitchen) and publish the videos I have done Content Writing and Video Editing in my project. 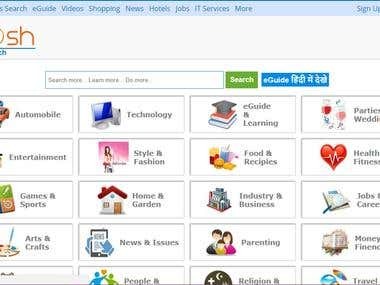 Article & Blog Writing, Travel Agent, Travel Writing, Travel Planner, Travel Consultancy, Travel Video, Data Entry, SEO, SEM, Design-Research, Video Editor, Youtube. I am the owner & working on "Tripplore" which is a tourist destination information site and it covers worldwide. 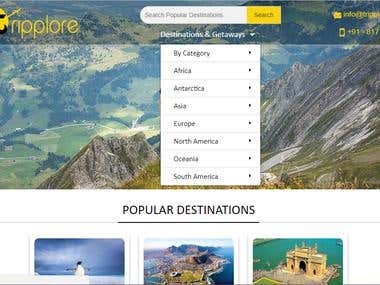 Tripplore is a destination search website that helps travelers find the right destinations according to their preferences and helps them to make their holidays hassle-free. Web-Content-Development, Grant-Writing, Technical-Writing, Article-Rewriting, Article-Writing, SEO, SEO-Writing, Content-Writing, Copy-Editing, Copy Writing, Proofreading, Video Editor, YouTube, Data Entry. I also work on "Netkosh Services Pvt. Ltd." This is an I.T. Company which gives Services like - Web Developer, Domain Hosting, etc. I am very punctual to complete any work or Projects. I am desirous to work on Freelancer and create intense relationship with my clients.